On the occasion of the International Day of Tourism which took place last September 27th, the Costa Rican Tourism Institute (ICT) has celebrated “The Week of Costa Rica in Madrid”. This event has been focused on presenting this destination to the public in general through the travel store Pangea, including a broad miscellaneous programme of different activities. 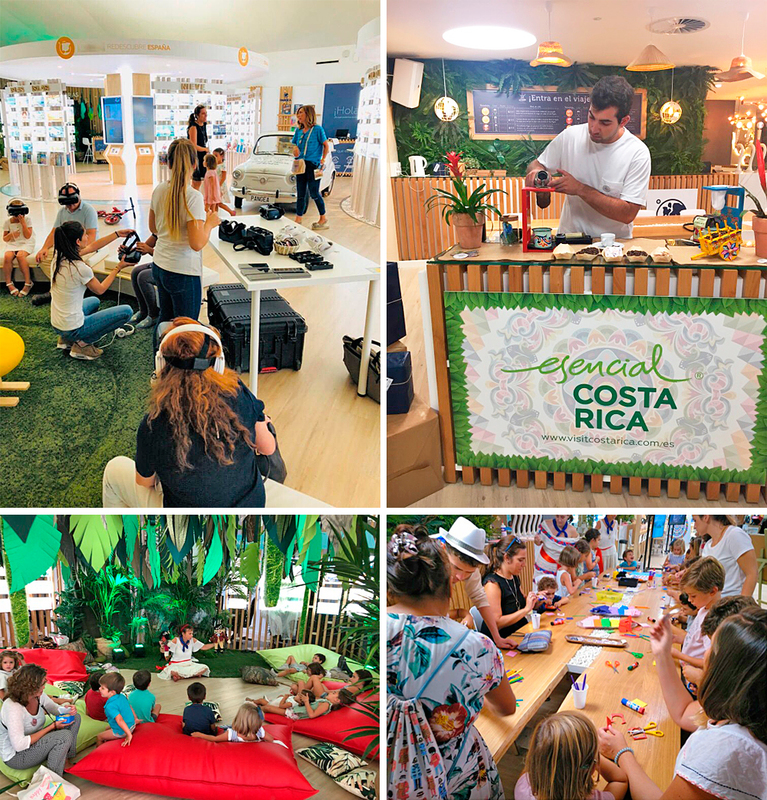 Among the activities organised were included huge screens that showed videos of this destination, workshops for children, the recreation of a jungle space within the agency and the promotional of the traditional “café chorreado”, typical coffee of this country. Furthermore, they showed 360º videos using 3D glasses of the destination to create an engaging experience.